It's that time of year again, folks: the Marines are coming to (Cary)town! 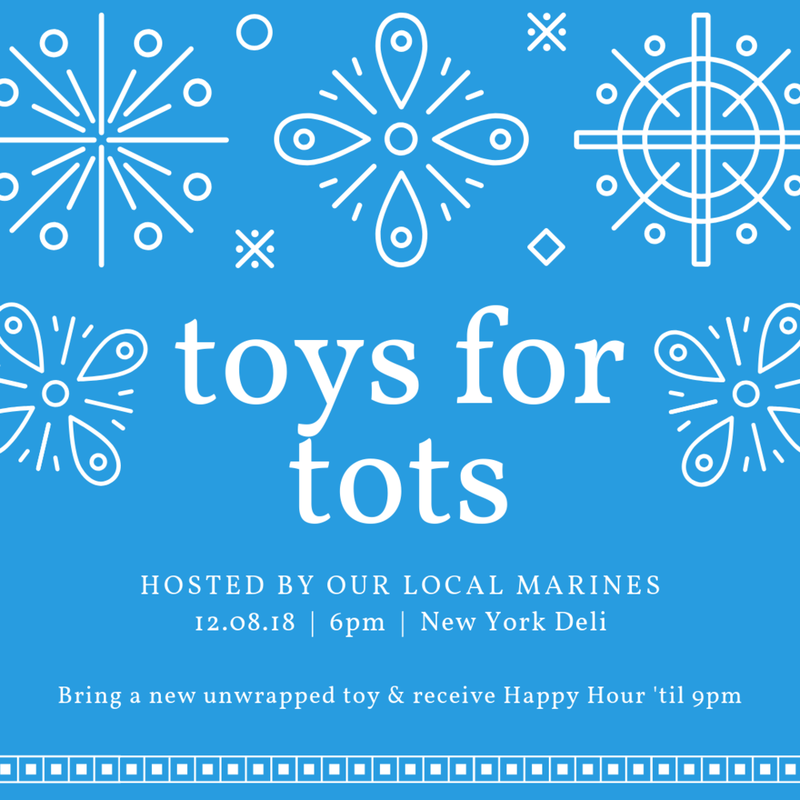 Join us this Holiday season as we come together with our local Marines to raise Toys for Tots. Bring an UNWRAPPED gift for a child and, as a thank you, New York Deli will grant you Happy Hour until 9PM.